Water is a precious natural resource and an essential element for life on earth. Demand for water increases dramatically as human population grows and fresh water sources become polluted. Awareness of our reliance on water is especially heightened during times of drought, like the one that California residents are currently experiencing. Some regions of the planet are inherently dry. The region where I live (Boise, Idaho) receives on average about 12 inches of precipitation annually. Compare that to a place like Pensacola, Florida which receives around 65 inches annually, or El Paso, Texas which is lucky to get around 8 inches of rain a year. So whether it is out of necessity (enduring a drought or living in a dry climate) or simply the desire to be a responsible citizen of planet earth, many people are choosing to incorporate more drought tolerant plants in their landscapes in an effort to conserve water. In the early 1980’s, landscaping with drought tolerant plants was given the name xeriscaping by the Denver, Colorado water department. These days terms like water-wise gardening and water efficient landscaping seem to be more popular. The initial vision that many people may have of a landscape planted with water efficient plants is one filled with desert plants like cacti, yuccas, and other succulents along with drab shrubs like sagebrush. While landscapes like these can actually be quite attractive (see Plantasia Cactus Gardens), modern water-wise gardens do not have to be so cacti-centric. 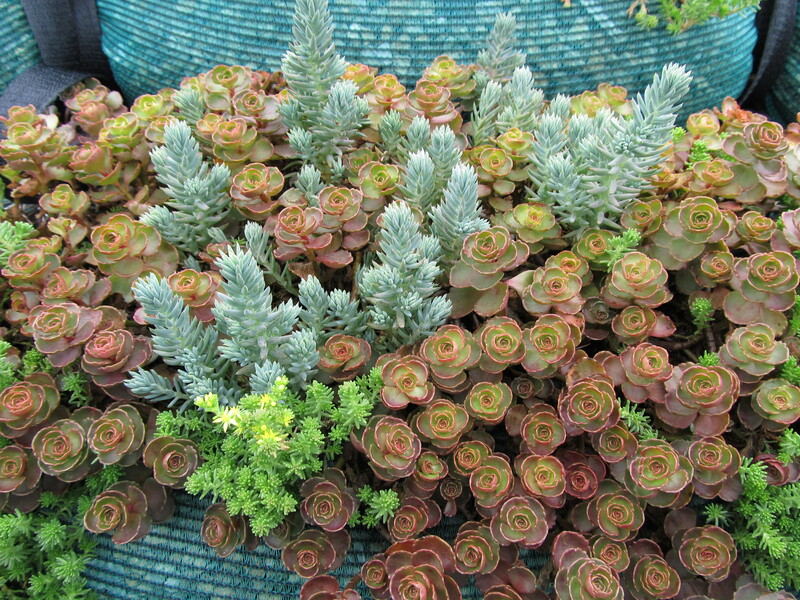 As interest in water efficient plants has grown in recent years, the horticulture industry has been busy introducing a wide variety of plants that are not only drought tolerant but are lush, green, and full of color. 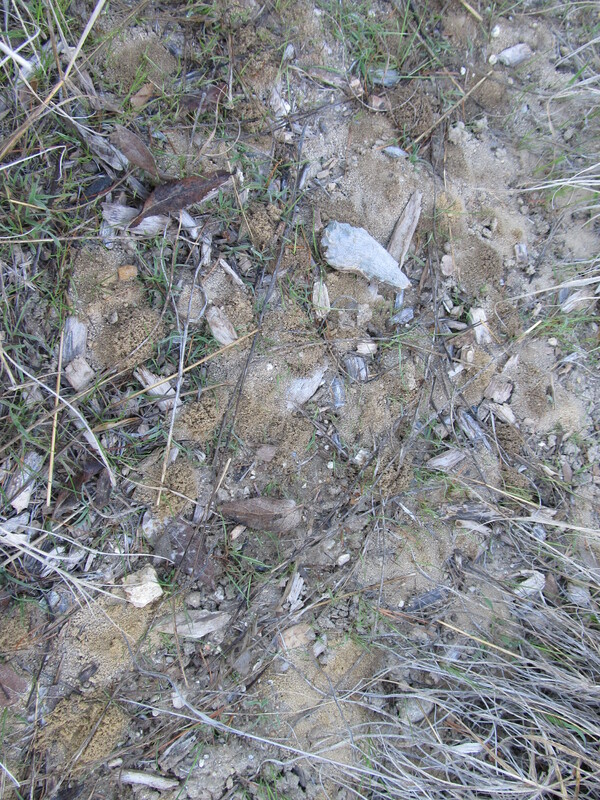 Plants that live in regions with frequent or extended droughts are called xerophytes. 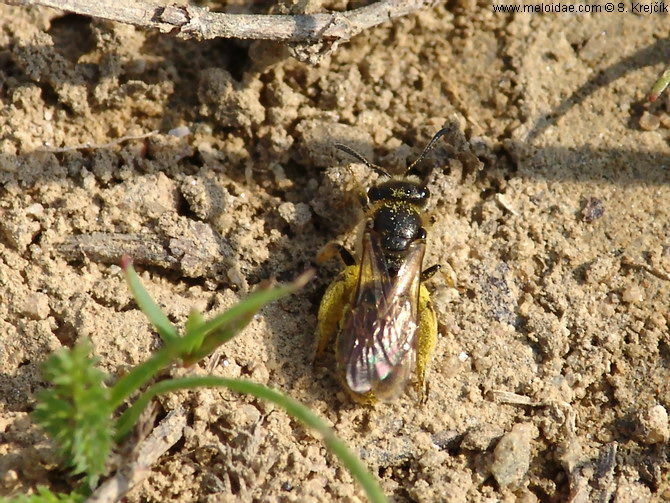 They have developed a variety of mechanisms that allow them to survive and even thrive in these regions. 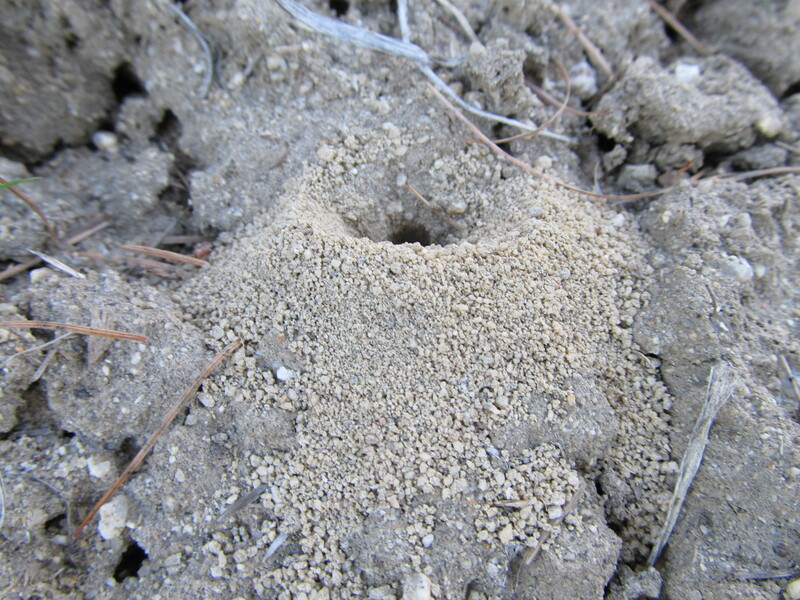 Ecologists call these mechanisms strategies, or sets of coordinated adaptive traits. In future posts I intend to profile specific drought tolerant plants so that we can get to know them on a more individual basis. For now I will provide a brief overview of the strategies plants use to cope with low water environments. -Alternate Photosynthetic Pathways: Conventional photosynthesis is inherently inefficient when temperatures are high and water availability is low. Plants that evolved in hot and/or dry environments have developed alternate photosynthetic pathways in order to overcome these inefficiencies. These alternate pathways involve utilizing a different protein to fix carbon, splitting the photosynthetic process into two separate cells, and collecting carbon dioxide at night then converting it to sugars during the day. Learn more about the different photosynthetic pathways here. -Drought Avoidance: Many desert plants live most of their lives as seeds hanging out on the desert floor waiting for rain. These are seeds of short-lived annual plants that sprout and grow when the rainy season comes around. They flower and set seed and are gone by the time the dry season returns. Birdcage evening primrose (Oenothera deltoides) and desert sand verbena (Abronia villosa) are examples of these desert ephemerals. -Drought Dormancy: Some desert trees and shrubs shed their leaves during dry periods, and then put out new leaves when rains return. This is called drought deciduous. Other desert plants live out the dry season as fleshy roots or underground stems, putting out foliage only when conditions are favorable. 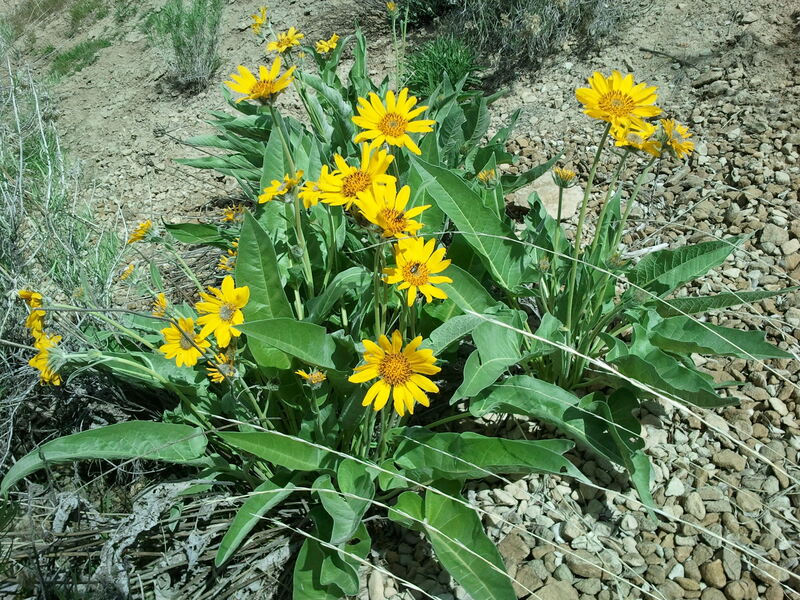 Arrowleaf balsamroot (Balsamorhiza sagitatta) is a good example of this; it spends much of the year as a taproot with little or no sign of its existence above ground. 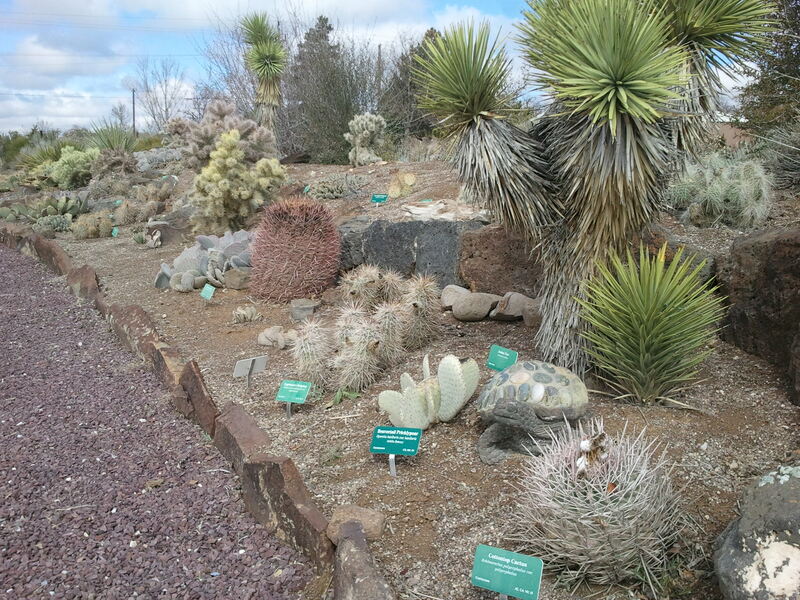 -Physical Adaptations: Desert plants have many physical adaptations that allow them to survive in hot, dry climates. The thick, fleshy leaves of cacti and other succulents store water for future use. The roots of some desert plants are shallow but horizontally extensive in order to capture water more effectively when rains come. The roots of other desert plants extend deep into the ground, some (like the roots of mesquite, Prosopis spp.) even reach as deep as the water table. Palo verdes (Parkinsonia spp.) are drought deciduous trees or shrubs that have photosynthetic bark that can keep photosynthesizing even when leaves are not present. 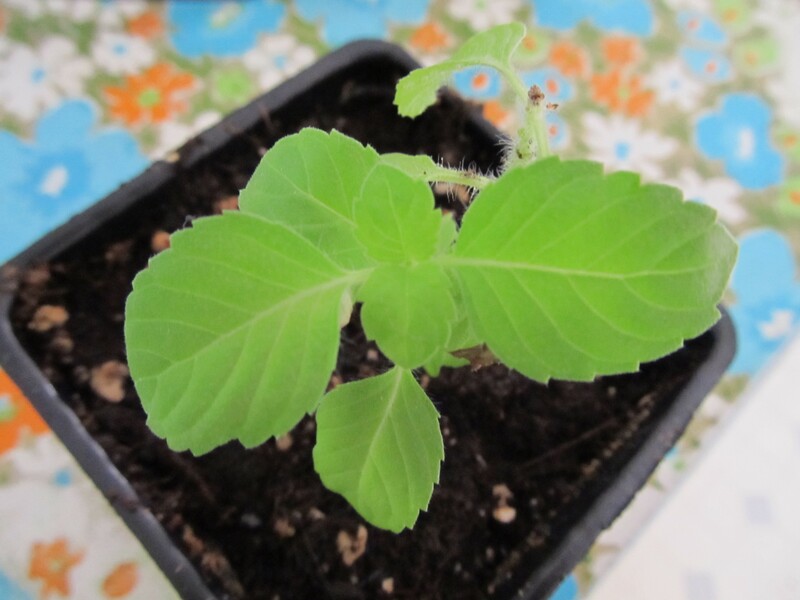 Other adaptations include small leaves, hairy leaves, dull colored leaves, and waxy leaves all of which help to reduce water loss and improve the efficiency of photosynthesis. 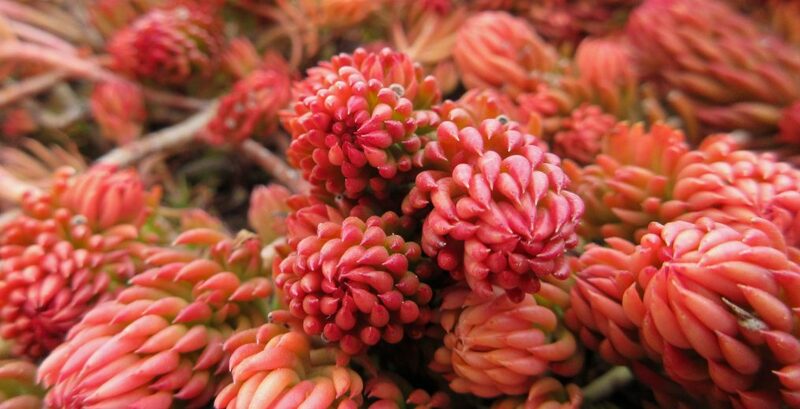 Drought tolerant sedums (Sedum spp.) with their shallow roots and succulent leaves are ideal for use on green roofs where temperatures are often high and water is limited. Learn more about how plants cope in low water environments from Arizona-Sonora Desert Museum. Every year I try to grow a few things in my garden that I have never grown before. This year one of those things is holy basil. Not to be confused with the common culinary basil (Ocimum basilicum) – of which there are numerous horticultural varieties – holy basil (Ocimum tenuiflorum) while closely related is a completely different species. Both species are native to South Asia. One of the main differences between the two is that O. basilicum is an annual and O. tenuiflorum is a short-lived perennial. Holy basil is a member of the mint family (Lamiaceae), which means that it has square stems and oppositely arranged leaves and branches. It is a highly aromatic subshrub that reaches about 3 feet tall and has hairy stems and green and purple leaves. The flowers of holy basil are white/purple and tightly arranged in a long raceme. While it is a perennial in its native range, it is not hardy in more temperate climates. Holy basil is a common ingredient in Thai food and has many medicinal uses. In India, it is often prescribed by Ayurvedic practitioners as a treatment for many things, including stress, fever, influenza, headaches, insomnia, and upset stomach. The leaves of this plant are used as a mosquito repellent, and oil derived from the seeds is being researched for it’s potential use in treating cancer. However, probably the most interesting thing about holy basil is its place in Hindu culture. Holy basil is considered by Hindus to be the earthly incarnation of the goddess Tulsi who is a companion of the god Vishnu. Thus, tulsi is a common name for this plant in Asia. Tulsi is the most sacred of all plants in Hinduism, which is why it is commonly seen growing in special pots in the courtyards of Hindu homes. During ritualistic worship, tulsi leaves are offered to Vishnu and his avatars. Vaishnavas (followers of Vaishnavism, a major branch of Hinduism) make prayer beads from the stems and roots of tulsi plants. Wearing these prayer beads (called Tulsi malas) is said to connect one with the gods and bring their protection. Because tulsi is considered to be a manifestation of deity on earth, it is seen as a connection point to heaven, and so tulsi leaves are placed in the mouths of people who are dying in order to ensure a safe journey into celestial realms. Hindus not only regularly use holy basil in ritualistic worship, they also regularly worship the plant itself. Daily worship of the tulsi plant is traditionally done by women. Worship can involve praying to the plant, chanting mantras, watering the plant, cleaning around the plant with water and cow dung, and offering it things like food, flowers, and water from the Ganges river. Even when not worshiping tulsi, simply caring for it daily is said to bring blessings from Vishnu. My holy basil. It doesn’t look like much now, but it has potential. 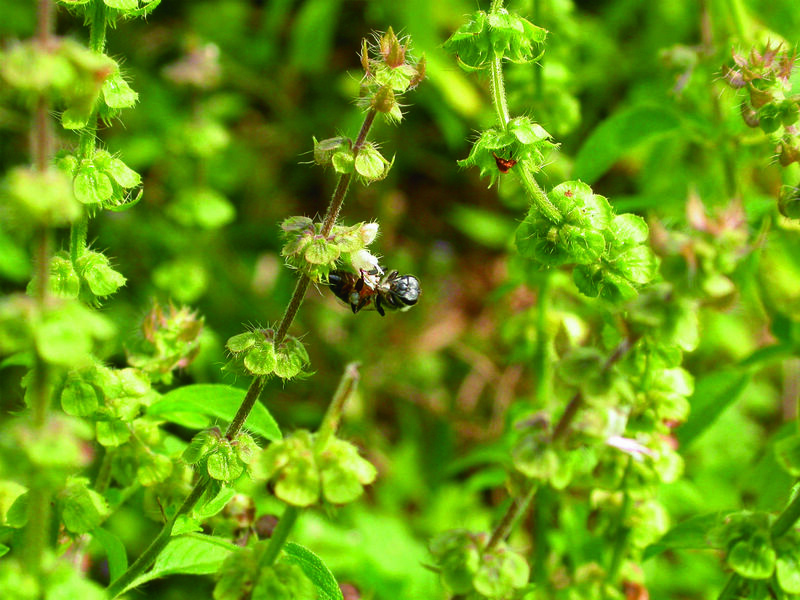 Learn more about holy basil and its ethnobotanical uses by visiting Kew and HinduNet.